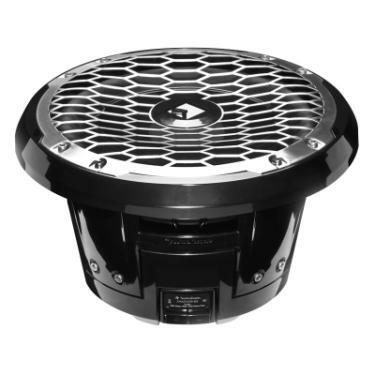 The PM210SX is a black 10” subwoofer designed with weatherproofing technology for marine watercraft or powersports applications. It features a stainless steel sport grille and is UV and moisture resistant. It’s versatile design allows it be used in sealed, vented or infinite baffle installations.